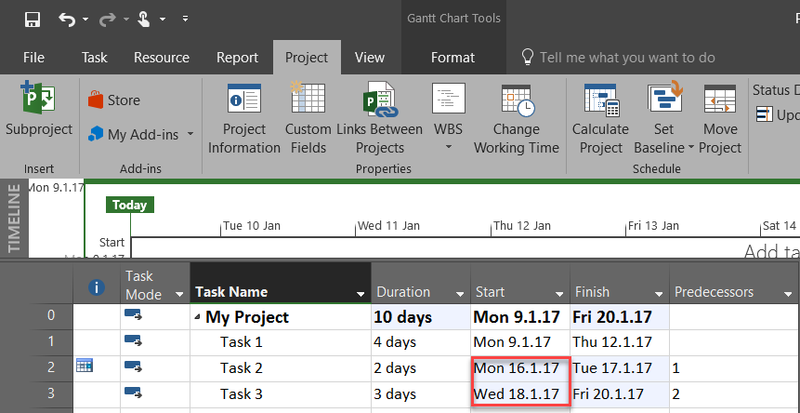 in my last post I wrote about differences between Move and Update options in MS PROJECT 2016 on the Project Level, Now it is time to explain those two different options on the Task level. As you can see, Task 2 has a new Starting date, and constraint: “Start No Earlier Than”. 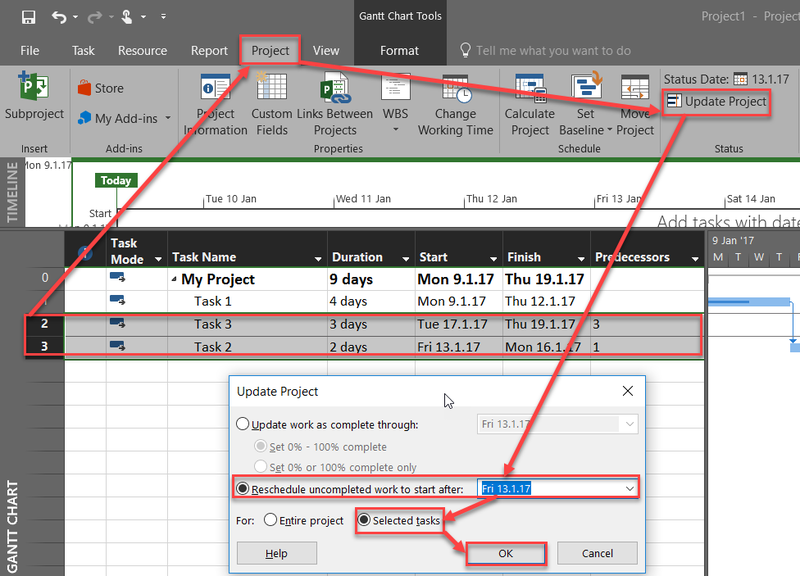 So, Move Option is to push Task back and forth from some reasons, and Update Option is for align selected Task with actual Schedule, e.g. to align finished and unfinished Tasks, and their parts to the real life situation (e.g. Status Date). Basically you can get, more or less, the same result with both Options, but my advice is always: Use features for what they are planned for.